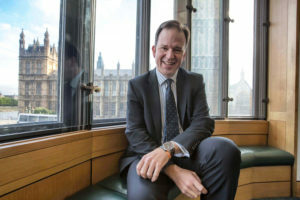 NJUG is pleased to announce that Roads Minister Jesse Norman will be speaking at our Annual Conference 2017 on 17th October at Edgbaston Stadium, Birmingham. He will be discussing the Department for Transport’s plans for lane rental schemes and there will time for questions from delegates. We have also today published the full conference agenda, detailing the speakers, panel sessions and workshops taking place. To register for a ticket to conference, you must RSVP to our Eventbrite here. Registration is open until Monday 2nd October. Tickets are free for NJUG members and £250 for non-members, should any colleagues in the industry want to attend.